Create precisely the right report with the Custom Report Writer. 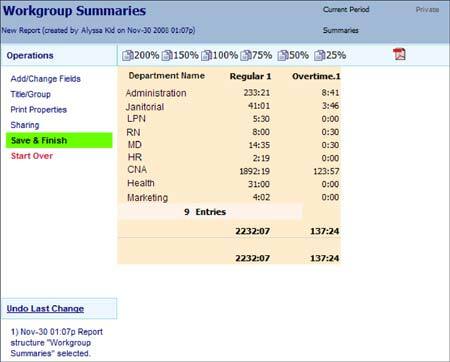 Choose the information you want displayed and see the report built in real time. Group information in a way that makes sense to your staff. Subtotal reports in a meaningful way. Choose the departments and date range to cover. Save the report for future use. Make the report available to other users or save it for your own access.